Want to use social media marketing to build your network marketing business? 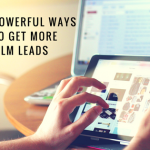 You may have run out of warm market leads to talk to but with social media, you’ll have an endless supply! 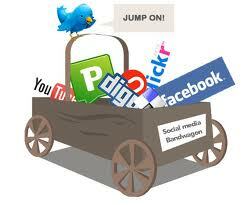 With the right social media marketing tactics, you can easily brand yourself. Have you been on Facebook, Twitter or Pinterest? You may have just played around on those social media sites before. Learn how you can use them to your advantage to meet new people that need your product, service, or opportunity! You can reach many more prospects and gain visibility through social media marketing than you can out in your local area. When you combine both on and offline methods, there will be no stopping you from success! Before I give you two tips for your social media marketing campaign, first understand that you have to make this part of your daily routine. That is how you will gain momentum and build relationships. If you just these things every now and then, you should not bother doing them at all. Build relationships. Every successful network marketer is skilled at connecting with people. It’s the same online. Become an influential person and people will start coming to you! That is called attraction marketing. On Facebook, Twitter, and Pinterest, reach out to people with similar interests and start the conversation. Share valuable information. 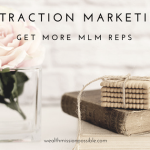 One of the biggest mistakes I see network marketers doing with their social media marketing is constantly try to sell and recruit. Don’t do that! People don’t want to see another advertisement or be sold. They want their problems solved, meet interesting people, or learn interesting things. Be a caring online friend and share content that solves a problem. You want people to get to know and trust you as a source of information that they need. As you build YOU through your social media marketing efforts, remember that you are building relationships. That’s what it’s all about, after-all. If you don’t know how to use social media marketing, click here for access to a blueprint for success! Thanks John! Appreciate you stopping by and sharing your insights about Social media marketing. Hope to see you again soon. Great article. It is so true that you have to keep up with social media. The company I am a part of has an excellent team almost always monitoring their social media to help anyone with questions. I love being involved with a company that helps me help others through all mediums. Hello Lisa, Great article. Really I enjoy the article and you wrote everything point to point about Social Media Marketing. In today era of internet, You should learn all techniques to speed up your business by networking. Thanks and looking forward to more articles.